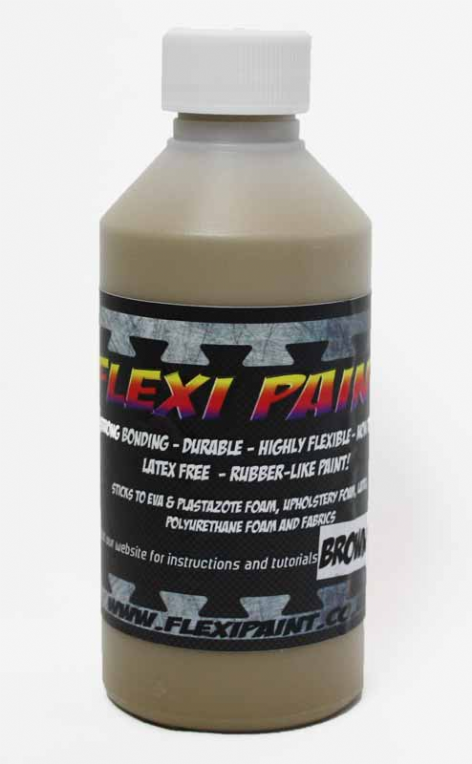 "Flexi Paint™ has been designed for costumes and props. 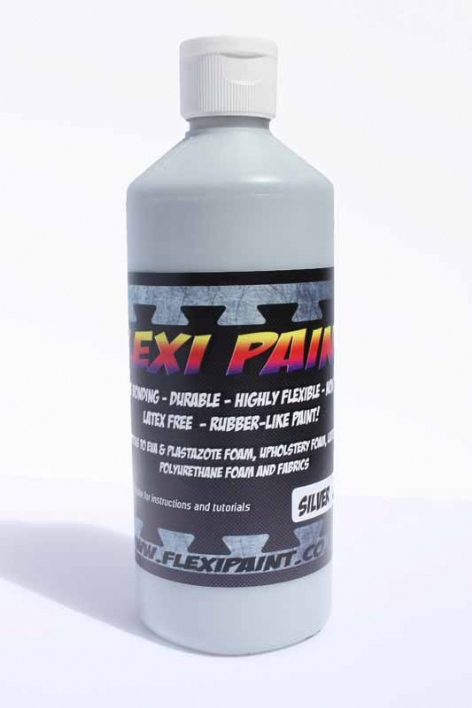 It is non toxic and has no harsh fumes or over powering smells. 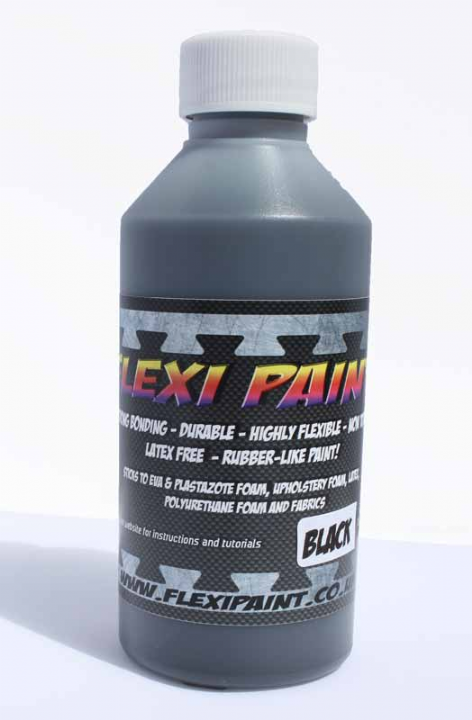 The tacky surface is because of the high bonding qualities of Flexi Paint™, this means: NO PRIMER IS NEEDED. 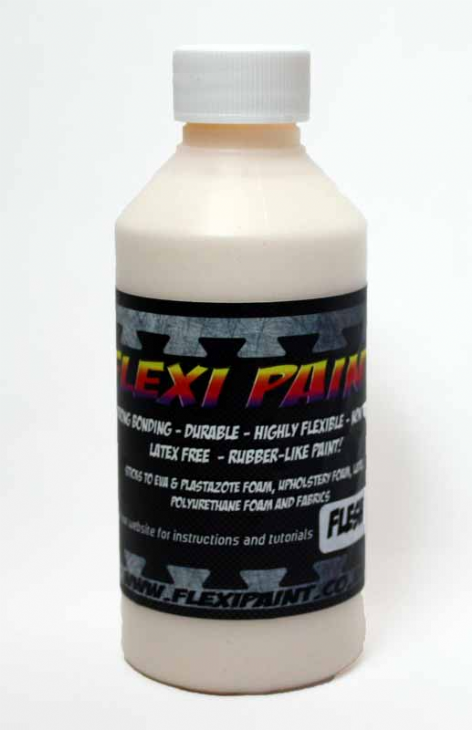 Flexi Paint™ is its own primer and will bond to a wide variety of surfaces without peeling away or cracking. All that is needed is a quick spray over and buff off any excess with a soft cloth. That's it! Tack gone! 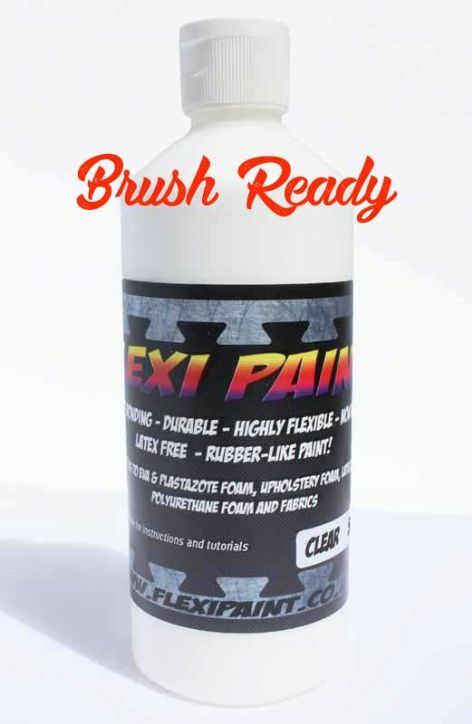 Project sealed, protected and ready for use."